Time for your final (for now) weekend dose of Melodic Randomiser Unspooled, my semi-regular lucky dip into the musical gems that live in their little plastic boxes under the stairs. Today’s selection brings together early sampling, rough edged 1970’s pub rock and ’90s dance superstars, all from the UK. …and we finish up with arguably one of the most important bands from the ’90s dance scene; Underworld and Pearl’s Girl. 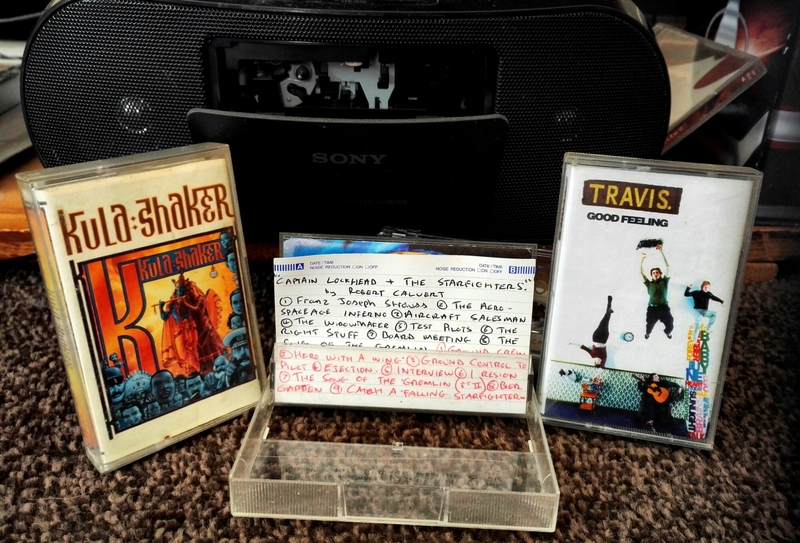 As I predicted last weekend, a Melodic Randomiser Unspooled post is the easiest way to fulfill my daily blogging duties on a Saturday, so join with me in enjoying some more nostalgic musical treasures from the boxes of cassettes under the stairs. Today we have another eclectic selection that spans the decade when music was going through a paradigm shift, due to the increasing use of electronically created music. Everyone from prog rock stalwarts to ex-punks were experimenting with the huge range and variety of music that could be achieved using synthesizers, incorporating exciting new textures and sounds into their existing oeuvre, enabling them to stay relevant in this brave new world of musical exploration. The first of today’s cryptic triptych is from one of those prog bands who narrowly avoided being eclipsed by the new wave of cutting edge electronic bands by embracing new sounds into a back catalogue already rife with elaborate synthesizer noodling; Yes. Drama was released as the decade began and was the album when production genius and keyboard whiz Trevor Horn came onboard, after founder member Rick Wakeman departed the band, blending their trademark flamboyant style with shinier production and a sleeker, more modern sound. And here you can enjoy the full album in all its dramatic glory. Then we have a band who grew from the ashes of proto-goth punks, Bauhaus and honed their sound into a mellower, more melodic style as Love and Rockets and this is their Seventh Dream of Teenage Heaven album, released slap bang in the middle of the ’80s. Here is The Dog-end of a Day Gone By. Lastly and not at all leastly, one of the pioneers of UK electronic music in ’80s, Depeche Mode, who were making sparse, bleepy pop when Yes released Drama but by 1990 had matured into an edgy and decidedly darker band, Violator being a massive critical and commercial success for them, beginning a debauched and reckless few years during which frontman Dave Gahan actually died twice. This is their huge worldwide hit, Enjoy the Silence. Well I don’t know about you, but that certainly brought back some memories. Tune in for this month’s final edition of Melodic Randomiser Unspooled next weekend. There’s a bonus post coming up later, so watch out for that and I’ll see you tomorrow for SoCS and whatever I think of to do on my day off. For today’s daily post I’m going with the ever faithful standby of grabbing a handful of cassettes out of a box and bringing you another in my recently resurrected series of Melodic Randomiser Unspooled. 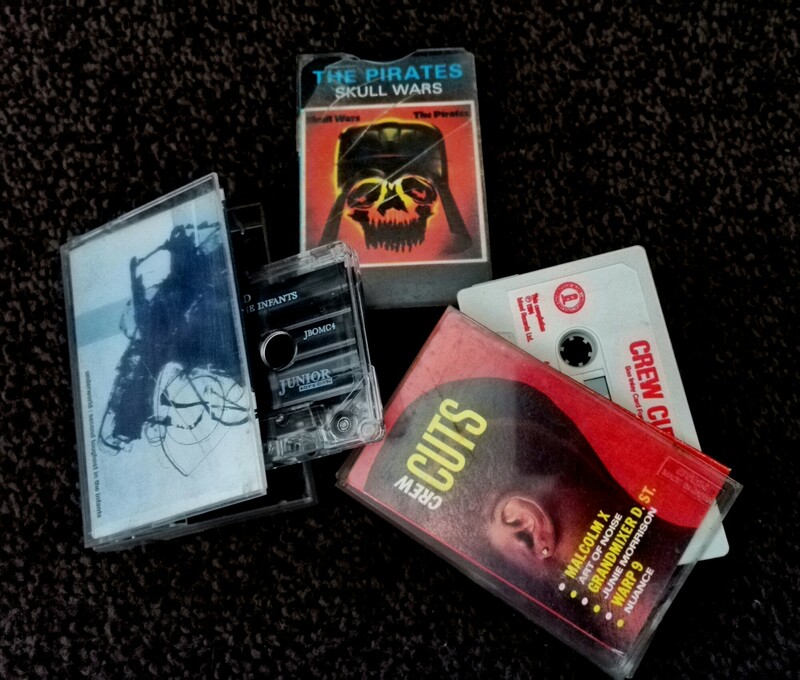 The triumphant triumvirate of tapes that graces my blog juke box today are a pretty eclectic selection, so there’s a chance you might find something that piques your interest, whatever your musical taste (well, maybe not, but you don’t know until you try, do you?). There’s the terrifyingly, deliriously heavy thunder of metal, spiky alternative new wave pop and wryly humorous, percussion laden ska, which is enough for anyone to digest in one sitting. Not only that; you get not one, but two full albums and a host of bonus tracks. Firstly a band fronted by one of the many great artists to have shuffled off stage for the final time in the last couple of years; here’s Lemmy and Motörhead with the entire expanded album of Orgasmatron. …then to round off this musical mystery tour here’s another complete album (courtesy of a YouTube playlist) by an artist whose career has spanned as many musical styles as you care to mention; from virtuoso guitar solos in ’70s rock musos Be Bop Deluxe, to experimenting with electronic and ambient music, to his more recent, laid back material, Bill Nelson has always been a musical innovator. He was on the second stylistic phase of his career by this point; from 1979, this is Bill Nelson’s Red Noise and Sound On Sound. 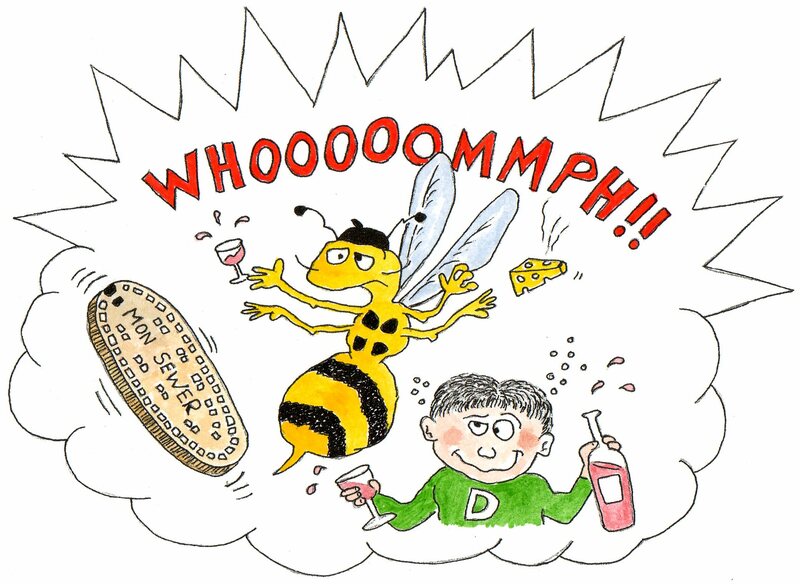 I suspect the Randomiser will become a weekend fixture for the remainder of March, so stay tuned for more of not-the-same soon. Day three of my daily, month-long attempt to post something every day for a month and I haven’t even started repeating myself yet and it’s already day three of my monthly attempt to post something every day. It’s going well so far, I think. Today is music day and I have once again unearthed a box of rattling plastic cases and fragile spools of magnetic ribbon from under the stairs for your listening pleasure. Yes, it’s time for another of my occasional Melodic Randomiser Unspooled posts; wherein I ferret around in a plywood box filled with dozens of cassettes, relics from the hazy days of my youth, to bring you a trio of tunes to tickle your terpsichorean tendencies. 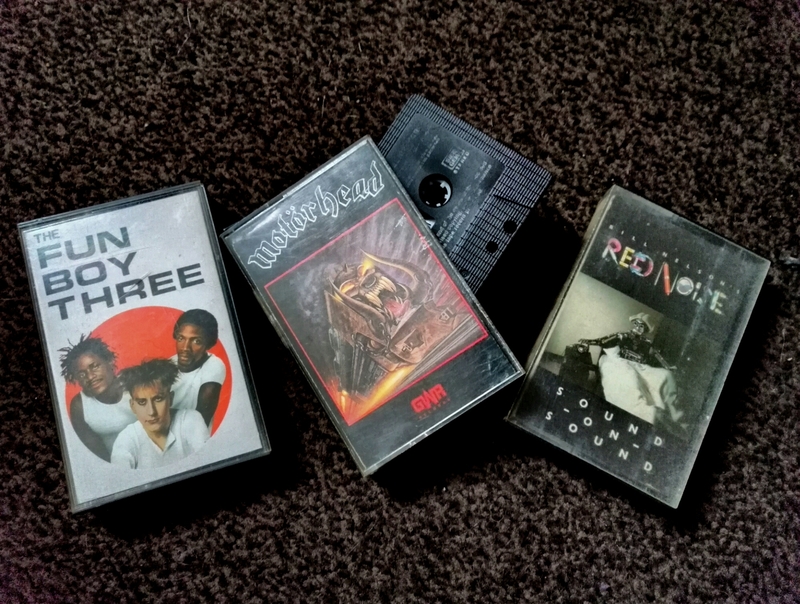 The trilogy of tapes making up today’s random selection of rectangular nostalgia are as fine an example of eclectic juxtaposition as you could possibly hope to fill your aural receptors with, so sit back and let it wash over you. …finishing off with a track from one of the most enduring and accomplished guitar players of all time, Carlos Santana and his eponymous band, with a true classic, Samba Pa Ti. And if you can’t find something there to please your audio sensory apparatus, then I’ll just have to try extra hard next time, so stay tuned. I thought it was time to delve once more into the little plastic boxes of nostalgia that make up my vintage cassette collection, just because I haven’t done a Melodic Randomiser post for a while and it seemed like a good idea. The box I dragged out from under the stairs this time is as eclectic a selection as any of them and this one offered up a fine juxtaposition of styles. So there you have it, a playlist you won’t find anywhere else, I hope you find something to enjoy. Stay tuned for further trips back in time in the not too distant future. After much burrowing around in the cardboard box and carrier bag breeding ground of our under-stairs cupboard, today I managed to haul out the second box of rattling plastic nostalgia cases that is my cassette collection. Throwing caution to the wind, I blindly grabbed a trio of magnetic memory magnifiers and slotted the first one into the stereo before I’d even checked to see what it was. So you can imagine my delight (or maybe you can’t, you might not be so easily pleased) when this next installment in the trip through my own personal musical heritage began with an album that gave us the best song from the soundtrack to a movie cult classic, the wantonly strange Donnie Darko (which, if you haven’t seen it, go find it and watch it). The Church are not, in the UK at least, a hugely well-known band, hailing as they do from Sydney, Australia. But this song (as well as featuring one of the only acceptable uses of bagpipes in pop) is an instant earworm. It appears at a pivotal point in the movie and perfectly captures the dreamy and surreal tone of Donnie’s world. …plus, if you liked that and because I’m feeling generous, why not check out the full album, Starfish, while you’re at it. From antipodean indie to U.S. political hip hop and rap/rock, the next stop on our eclectic journey brings us to a tape that was put together for me by an old friend from Sussex (hello Chris) and it tackles themes that are, somewhat depressingly, just as relevant today as they were in the early ’90s. The Disposable Heroes of Hiphoprisy were an astute and politically aware hip hop four-piece from San Francisco who, despite their short lifespan, (they split after only three years) provided us with one of the most memorable rap anthems of the era. Their album, Hypocrisy is the Greatest Luxury, was one long rant on the state of America at the turn of the twentieth century’s final decade, and although it’s filled with angst, it sidestepped the “cop killer” attitude of many rappers by concentrating on social issues and generational injustices. …and this, the album’s opener, is just as apposite in 2015, here is Satanic Reverses. But if proper, eye-popping, vein-bulging anger is more your type of political poison, look no further than the other side of today’s tape two. Because there you will find some truly furious men, the no-holds-barred riffing monster that is Rage Against the Machine and their ground-breaking eponymous debut album. …and I’m going to follow that with a performance I was fortunate enough to witness, the apoplectic Bullet in the Head, live from Reading Festival in 1996. 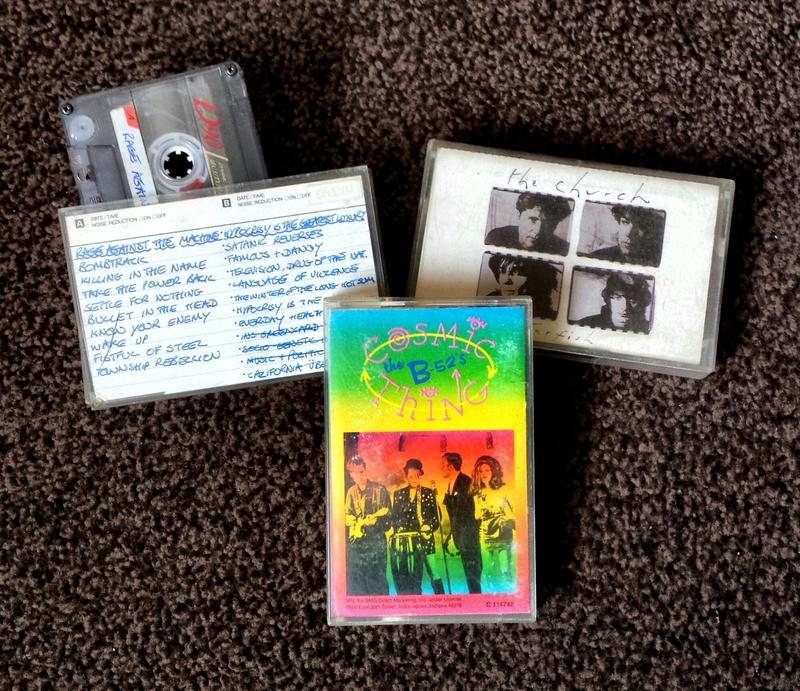 Which brings us to the final selection in today’s trawl of the tapes, lightening things up a bit with some American new wave pop from The B52’s and their ’89 breakthrough album, Cosmic Thing. I could go the really obvious route and play the massive worldwide smash hit, Love Shack, but instead I’m going for two of my favourites. …and to complete this visit to the archives, let’s all join the Deadbeat Club. And as always, remember: Be kind, rewind. Following last week’s Travel n Ravel story from the lazy, hazy days of continental childhood camping trips, I thought I’d round off the theme with two more small tales of happy holiday high jinx by reposting another re-jigged post that many of you may have missed previously.